The philosophy of how ZUKIN Realty is transforming our town. Their recent project on Market Street, the space that has become Mercato Restaurant and Bar, is a great example. It was originally three buildings, all owned by the county and all in a state of disrepair. Zukin Realty purchased the property and renovated it, literally, from the ground up, all while preserving its historic exterior. 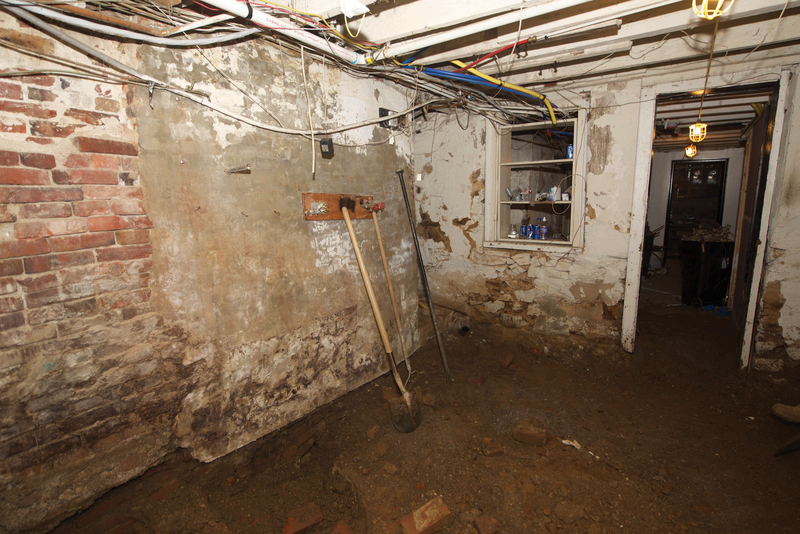 “We combined the first floors of the buildings and dug out a basement to make an extra space,” Scott says. 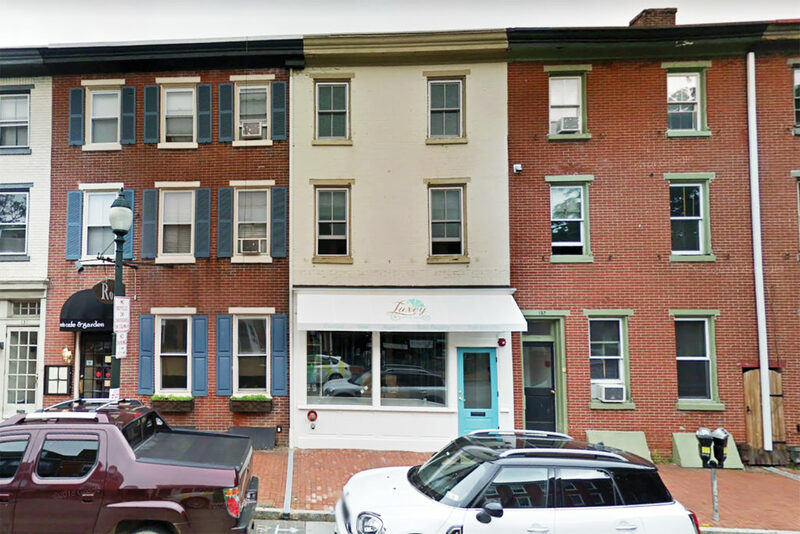 “While we sought the right client for that space, we renovated the upper levels, turning them into apartments.” They applied this same formula to Dolce Zola’s space at 134 E Gay St, when the owners who were then running the smaller iPasta wanted to expand into something bigger. 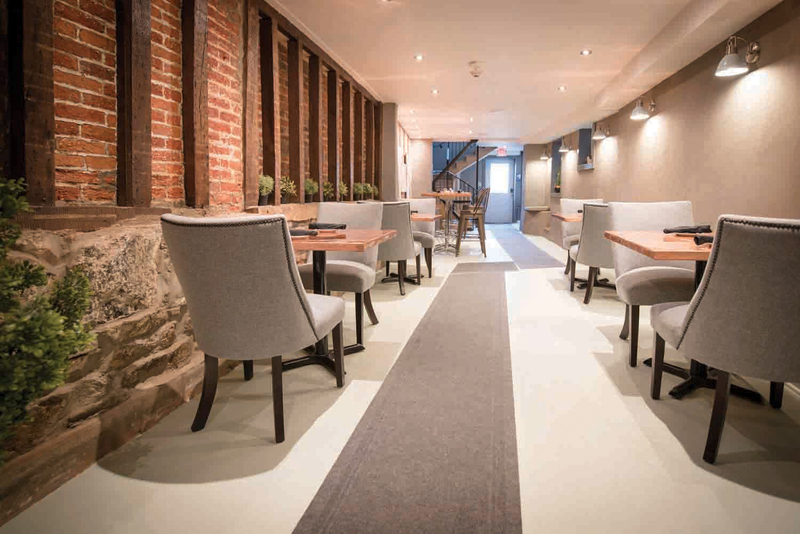 Zukin Realty combined the first two floors of adjacent buildings while maintaining the exteriors and added a beautifully renovated basement, as well as space for a patio. 15 N Church Street is another source of pride for Zukin Realty. “That place was vacant for about 20 years,” says Scott. The windows were all blown out, and the building was utterly dilapidated (see the previous page for confirmation). “It could have been deemed something in need of being knocked down,” he says. 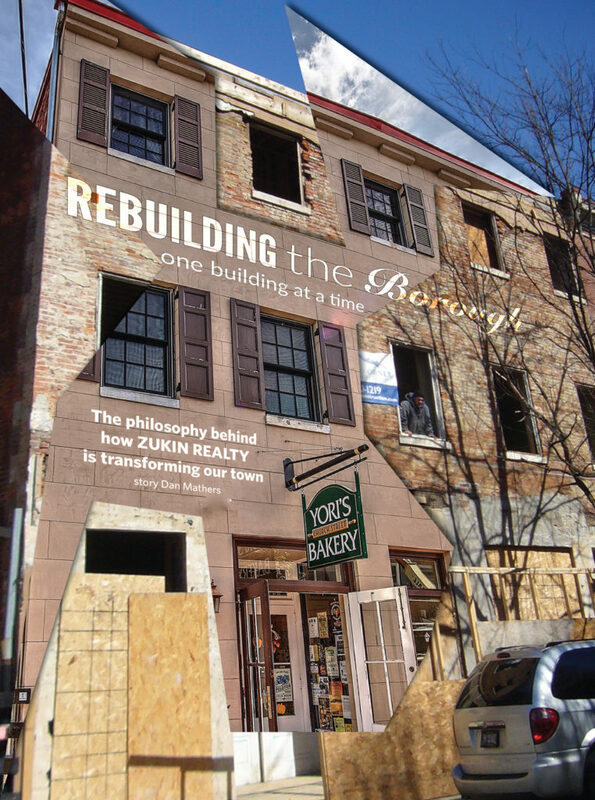 Rather than demolish the building and start from scratch, Zukin Realty worked hand-in-hand with the Historic Architecture Review Board to preserve the building’s exterior, all while creating a beautiful interior space that’s become the home of Yori’s Church Street Bakery. “We wanted to maintain that character and maintain the history as best as possible,” Scott explains. Zukin Realty’s work at 15 N Church St won them a Preservation Award, one of many they’ve earned over the years. 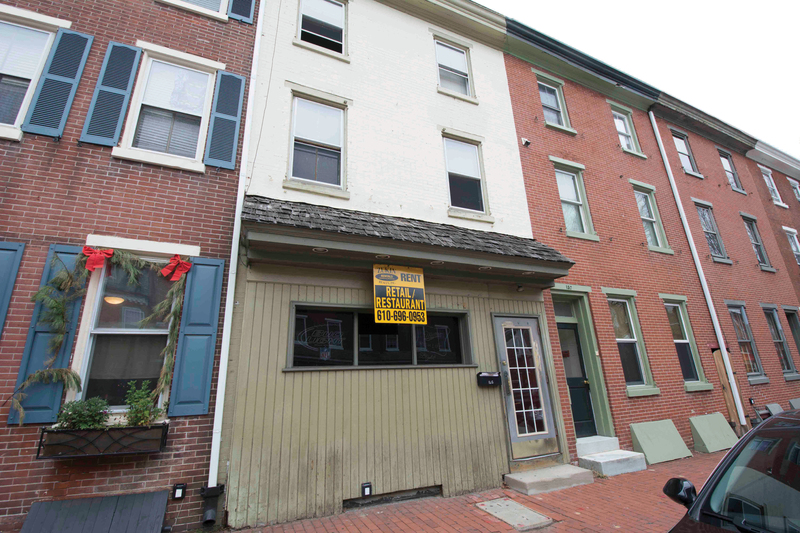 They have also received awards for notable properties like the ones that house Ram’s Head Bar and Grill, as well as 119 E Gay St, the current home of The Social. According to Allen Burke, chair of the West Chester Preservation Awards, much of the recognition for these projects relates back to Scott Zukin himself. “Through the years, West Chester Preservation Awards have been given to four different Zukin projects, largely in recognition of Scott Zukin’s passion for excellence in the art of carpentry combined with a love of borough history,” he said. The Social is a great example of Scott’s passion and interest in carpentry. On that project, they dove deeper than usual, conducting historical research to uncover photos and illustrations of the building’s original appearance. Rather than simply cleaning the space up, they took steps to restore the structure to its original appearance, even going so far as removing individual wooden brackets and meticulously repairing and reinstalling them. 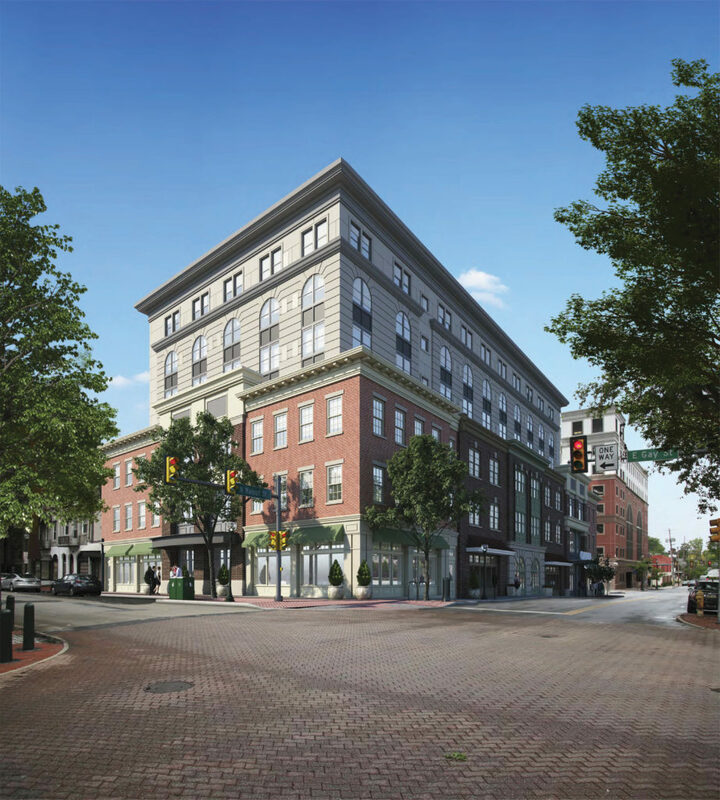 Zukin Realty hopes their hotel at the corner of Gay and Walnut will start construction this year.